According to their website "...SHSC Sustainable Human Settlements Consult Limited, founded in Lagos, Nigeria in 1995 as a partnership of Mustapha Zubairu (Architect/Planner and urban development and management expert), and Stella Zubairu (Architect and Facilities Management Expert), has continued to grow in organization resources and experience to meet the challenges of increasingly complex projects..."
"...We continue to operate as a general practice and have provided a full range of architectural and project coordination and management services, environmental management, urban development and management, urban governance related projects. We maintain long-standing relationships with consultants, construction industry and product supply interests. Since our inception we have sought public and private project assignments emphasizing changes that result in distinctive lasting and serviceable design..."
While accompanying my mum to one of the markets in Enugu about 4 months ago, we went the section that sells dry shrimps(aka crayfish). While she was buying some crayfish she told me that most of the crayfish in the market now comes from Bakassi area of Nigeria area now. This is because the catches which mainly came from the central Delta is no longer in demand because a lot of their crayfish is tainted by oil and fuel slicks from the leaking crude oil pipes in the creeks. This rather unfortunate calamity has destroyed the means of livelihood of a lot of fishing villages in the Niger Delta. I believe that a lot of the fishing communities do have to re-settled to land based housing schemes because we can design modern housing schemes that borrow a lot of ideas from their traditional architecture which could end up serving them better. Most of the fishing communities of West Africa tend to live in houses built on stilts or poles embedded in the river or sea-bed because of constantly changing daily or seasonal level of the river and sea water around them. 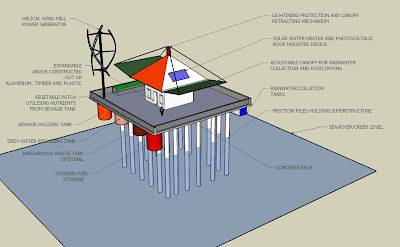 By incorporating rain collection devices on the roof as well as portable solar distillation equipment will alleviated a lot of problems the inhabitants have with access to clean drinking water. The intended source of power supply will be from Photovoltaic and wind generated power. 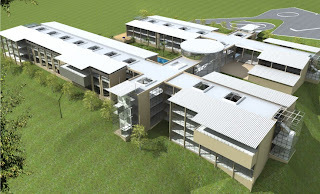 Fish, crayfish and seafood drying can also be carried out on the retractable canopy of the proposed building prototype. Collection tanks for sewage and Grey water incorporated with algae will gradually break down the waste which could be used in the suspended vegetable gardens attached to the abode. The concrete substructure will be held up by friction piles driven to the shallow seabed. The superstructure will be a light wooden/aluminum/polyethylene building bolted to the concrete base that could be easily adapted to the family size of the inhabitants. With a lot of the Nigerian coastal communities facing problems from poverty, destruction of their ecosystems, lack of clean drinking water I believe that we can contribute design,construction and technological ideas that could be used to develop modern housing schemes. These design could be influenced by Ijaw,Kalabari, Ogoni, Urobo, Iteskiri traditional architecture but still maintain the functionality, durability of an abode built on top of water. Their website says "...Master Holdings (Nig) Ltd is a Civil Engineering & Buildings Construction company that is wholly indigenous with some expartriate engineers in its employ. Since the company's birth in 1984 it has maintained a policy of delivering projects ahead of schedule with a special flare for thoroughness, efficiency, perfection and durability. Initially the company concentrated on buildings construction, but branched into the roads and bridges construction market in 1994. Since then, Master Holdings has become synonymous with excellence in Civil Engineering Construction, especially roads, bridges and erosion control. Master Holdings (Nig) Ltd was founded by Mr Kanayo G Nwandu, a 1978 Quantity Surveying Bsc (London) (Hons) graduate. He had his very rich experience in Civil Engineering and Buildings Construction in DANSEL, a highly reputable Civil Engineering and Buildings Construction Company, whose existence spanned from the 1950s to the 1980s. It was while having his tutelage in DANSEL, where he rose to be the Managing Director, that his ambition to form a very formidable, efficiant, organised and performing Road Construction Company was nurtured. And so, in 1984, Master Holdings (Nig) Ltd was incorporated with Mr Kanayo G Nwandu as its Chairman/Managing Director. As a holding company, it is also involved in Real Estate, dry Cleaning Services, Travel Agency Services, Quarry, etc. Bus as at now, the Company's main business trust is Civil Engineering and Buildings Construction, with a non-pariel expertise in..."
Their website says that " ...Essential Interiors was established over 8 years ago, offering a complete interior design, supply, project co-ordination and installation service. Customer satisfaction is our watchword and over the years, we have built up an impressive clientele base, both local and international. Our hard earned reputation is due largely to our well trained professional staff and management whose varied experience of the Nigerian market coupled with a fine blend of innovative ideas and knowledge of the very latest trends in the industry make Essential Interiors one of the leading Interior Design consultancy firms in Nigeria...". 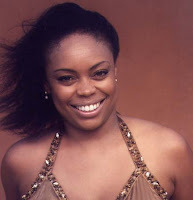 Its Management team is headed by Titi Ogufere "...who earned her qualification in Interior Design in Ireland. She is vastly experienced and is on the board of the Interior Designers Association of Nigeria (IDAN) and only recently started Essential Interiors Magazine based in Nigeria to promote Interior Design decoration and Garden Design..."
The Green Home Building writes about an "... Earthbag Construction System is proving to be fast, inexpensive, sturdy and environmentally friendly. It also does not require an army of professionals to build – just eager, willing and able people of both sexes and all ages. A building technology originating from the Middle East, developed by an Iranian-American, is generating a buzz in the Philippines as an environmentally benign solution to a pressing shortage of shelter and school buildings. 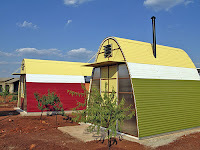 Nader Khalili, the awarded California-based architect/author and teacher of Iranian-American earth architecture, says his ceramic house and earth architecture techniques are also a quick, inexpensive way to build mass shelters for calamity victims. 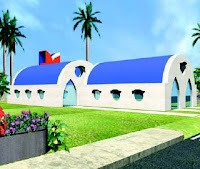 But it was a young Filipino entrepreneur, Illac Diaz, who found Khalili’s architectural innovations suitable for the Philippines, where, even without natural and man-made disasters, housing and classroom shortages are acute.Mentored by Khalili himself, Diaz is showing that the Earthbag Construction System is proving to be fast, inexpensive, sturdy and environmentally friendly. It also does not require an army of professionals to build – just eager, willing and able people of both sexes and all ages. Diaz is the Executive Director of My Shelter Foundation, which looks for ‘uncommon solutions for common problems’. He pointed out that the old Filipino construction technologies, using wood, cane, stones and other forest products, are no longer suitable and practical given the country’s severe deforestation. Concrete has also been an unrealistic alternative for people without adequate means to have their homes – or any other building – air-conditioned, due to its heat retaining properties. Even electric fans use considerable energy, generated through imported, costly and irreplaceable fossil fuel. Diaz’s technology, however, which is an adaptation of Khalili’s Earthbag ceramic house method, uses material found right under people’s feet – soil. Other materials used are straw sacks and barbed wire for structural support, water pipes, oil drums for windows, and a little cement.Diaz first put the construction innovation on display by building a model house made of ‘mud’ in Escalante, Negros Occidental, in the central Philippines in honour of a recently deceased aunt who had lived there. Then, realising many public school children in the Philippines, particularly those farthest from the capital city of Manila, barely had roofs over their heads as they attended classes, Diaz decided to launch a school building campaign that he hoped would be adopted elsewhere. Siargao Island of Surigao del Norte, in eastern Mindanao province, sits on the edge of the Pacific Ocean. Though it has become a favourite destination for dedicated surfers from around the world, Siargao, like many other places in the Philippines, badly needed buildings that would at least provide adequate protection from the elements. In many areas of Mindanao, with its serious environmental, peace and order problems, thousands of Filipino students receive lessons in makeshift classrooms. Often they are in an open field with only a tree’s sprawling branches to offer some kind of cover. Diaz noted that the current design for Philippine school buildings was both uncomfortable for students and energy inefficient. Classrooms were hot and dimly lit so electric light bulbs were needed. The discomfort of the classroom may have been contributing to the high student dropout rates, he thought. With domed or arched roofs, whose weights are supported by the walls, Diaz’s school buildings – and houses – have no pillars. They also do not use hollow blocks. Steel drums are employed to shape and provide the opening for rounded windows and pipes are strategically placed to let air in and out to cool the structures. A little cement is used in some places just to ‘glue’ things together. The first three-room school that My Shelter Foundation built in Siargao, in collaboration with the Abakada Foundation (a Filipino non-government organisation focusing on the provision of educational facilities in rural areas) has cost about 150 000 Pesos, but Diaz expects the price to fall even further as he and his partners become more experienced in the use of the technology. The project took less than a month to complete. 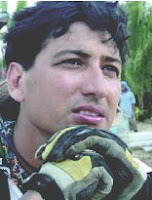 Diaz, who has patented the construction technology, said conventional building techniques ‘did not take into account nature’. He said they destroyed the environment, polluted the water, and required a lot of energy for cooling because ‘metal sheet roofing generates a lot of heat’, requiring air-conditioners or electric fans. As the main component of Diaz’s construction – soil – is free and readily available, there is also less need for imported materials. in fact, ‘cooked the soil and turned it into brick’, strengthening the material in much the same way heat makes pottery stronger. Hence, Khalili calls his handiwork ‘ceramic housing’. Supposedly better able to withstand typhoons and earthquakes too, Diaz said the structures could last 50 years or more, and are then recyclable. They can remain where they are so dust can return to dust, even without help from humans, he said..."
1. To be the best African Built Environment News & Information Network on the Internet. 2. To provide full and free access to our systems to all visitors and users. 3. To publish from the fastest and most reliable servers and delivery network available. Inhabitat says "...Pitched as having over 800 uses, the Palmyra Palm (or Borassus) is recognized as one of the most important trees in Cambodia and India. Earlier this year, Indian born architect Bijoy Jain of Studio Mumbai illustrated the ecological potential of the palm when he designed and built the beautiful Palmyra House. Constructed entirely from locally sourced and sustainably harvested palmyra, the home is sited on a working coconut plantation in the East Indian coastal town of Alibaug..."
In an article featured in the blog Inhabitat, it says "...According to the Planning Commission, India will need to generate at least 700,000 MW of additional power by 2030 to meet growing electricity demands. India will certainly be looking towards alternative energy sources to generate a substantial portion of this energy. Although solar energy production in India accounted for a mere 1.7% of the world total in 2007 (80 megawatt peak (MWp) power compared to a world total of 4,700 MWp), several great green strides have been taken by the country to harness the immense potential of solar energy. The latest example of this future forward thinking is Rabi Rashmi Abasan, India’s first completely green housing project. Photon International says "....In 2000, Sanyo claimed it wanted to create a 3.4 MW installation, the world's largest PV system, as a »message to the 21st century.« Instead, the 630 kW Solar Ark, dedicated on April 3, has become a symbol of pragmatism by using modules with deficient power that were headed for the junk heap. In biblical times, Noah was said to have used »gopher wood« to build his ark. While no one really knows what kind of tree it came from, it must have been a good wood, the kind that could withstand torrential rains and merciless floods. But one wonders how Noah would have responded to Sanyo Electric Ltd.'s modern-day version of his construction, called the Solar Ark. Unlike Noah's grand design, the 630 kW PV »vessel,« located next to Sanyo's semiconductor factory in Gifu, Japan, doesn't use state-of-the-art modules. Instead, the Solar Ark, which celebrated its grand opening on April 3, is constructed to large extent from factory rejects. What was intended as a testimonial to the future has become a symbol of pragmatism. Back in 2000, Sanyo decided to mark its half-century anniversary by building the Mega Solar, a 3.4 MW monument to clean energy. It would include a 1 MW Solar Ark, fronted by a Solar Wave with 1.8 MW, with another 0.6 MW on the neighboring factory's roof. The installation was to use Sanyo's highly efficient HIT cell technology, a hybrid of crystal silicon and thin-film amorphous silicon assembled in modules with current efficiencies ranging between 14 and 15 percent, the planned successor to Sanyo's monocrystalline cells. The installation's design was lauded by the president of Sanyo's subsidiary Soft Energy Company, Toshimasa Iue, as »our message to the 21st century.« But soon the message began to look bleak. That October, a scandal started brewing in Japan. Sanyo was caught illegally selling monocrystalline modules with insufficient output, exceeding a government-mandated 10 percent negative tolerance by 3 percent. The then-president of Sanyo Solar, Minoru Hagiwara, had known about the problem for two years, yet he continued to instruct salespeople to market the potentially defective modules. He was subsequently fired (see PI 11/2000, p. 26). A few days later, Sanyo Electric president Sadao Kondo resigned. Japan's Ministry of Economy, Trade and Industry (METI) considered filing a criminal complaint against Sanyo Electric for allegedly falsifying labels on the modules. In December, METI suspended the company's modules from the Japanese subsidy program for three years. That, says Yoshio Nagasuji, sales assistant in Sanyo's Clean Energy division, is when plans for the Solar Ark began to assume another guise. Instead of highlighting its new HIT technology by building what was to be the world's largest PV system, the company decided to use the Solar Ark to salvage the essentially useless monocrystalline modules that were being taken back from customers in exchange for normal ones. It is no coincidence that the number of recalled modules - 5,476 - was only slightly greater than the 5,046 modules that ended up on the monolith. By using the recall as an alternate means of »populating« the Solar Ark, the company not only saved face, but a lot of money as well. At the time of the scandal, the Financial Times estimated that replacing the customers' modules would cost the company 500 million JPY, about $4.6 million back then. Even in its diminished state, the Solar Ark has to be admired as one of the most impressive BIPV structures in existence today, probably doing a better job of promoting solar than any previous PV installation. Passengers on high-speed bullet trains can't help but notice the edifice as they ride past on a nearby railway line. The curved structure has a length of 315 m; its highest point is 37 m. The south-facing wall containing the modules, which are installed at an angle of 81°, is 7,500 m². 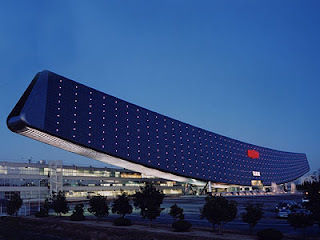 The modules also light up 77,220 LEDs installed in a red Sanyo logo and a white »Solar Ark« sign. Below the center portion of the Solar Ark, Sanyo has opened the Solar Lab, a museum with information on solar energy, including exhibits for children. And what about the Solar Wave, the sea of modules that were supposed to front the Solar Ark? Nagasuji says Sanyo's chairman and founder, Satoshi Iue, has told the Japanese media the company still intends to install it where the parking lot now stands. »Maybe in two or three years. But it's only a plan,« Nagasuji says somewhat ambiguously. What would the capacity be? »Nobody knows,« he admits. The only thing anyone knows at this point is that the Solar Ark is a magnificent construction that has helped salvage Sanyo's damaged reputation while giving the orphaned module. 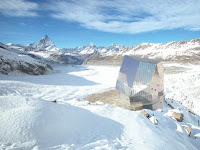 According to the website of the Energy Science Center "...Studio Monte Rosa is a special mountain hut, which has been planned for the Swiss Alpine Club (SAC) by the Department of Architecture. The project covers from the conception to the final execution all the phases and technological blocks needed for the realization of this unique building. In fact, the new Studio Monte Rosa is in the middle of a natural reserve with extreme alpine conditions, yet energetically to 90% self-contained and self-sufficient (90% autarchy). Their website says that All Purpose Shelters Limited operates as a consortium of Architects, Quantity Surveyors, Structural/Civil Engineers and Mechanical/Electrical Engineers. This Nigerian based firm specializes in residential, retail and architectural restoration projects. Lagos Energy City is a 763 hectare project that will enhance the role of Nigeria and West Africa to be a leading player in the energy industry specifically in the oil and gas markets. Positioned to be the regions first integrated hub, it will be divided into 2 zones, zone 1 is aimed to be the regions leading convention and tourist destination; zone 2 or the Energy City Zone will provide a world class business and residential environment that will cater to the entire energy industry and all companies in its value chain. Strategically located in Badagry Town of Lagos it is in close proximity with the entire ECOWAS market. 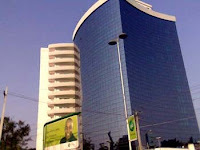 Photos courtesy of Lagos Energy City website. According to their websitePINCONSULT ASSOCIATES "..was established in 1985 to provide highly competent professional consultancy services in the fields of civil engineering, structural engineering, and building management. This practice became a limited liability company PINCONSULT ASSOCIATES LIMITED in 1993 for a wider coverage of engineering activities and a better corporate image. The collective experiences of the partners embrace a wide variety of engineering problems and, therefore, are able to make an important contribution to the success of every project for which the Practice is commissioned. PINCONSULT ASSOCIATES LIMITED is based in Lagos, Nigeria, to serve clients throughout Nigeria, but is able to establish sub-practice bases throughout the Federal Republic of Nigeria. All assignments are carried out to internationally recognize standard bye-laws in the respective fields of engineering and the resultant construction management. Since 1990, the Practice has been engaged in the Oil and Gas Sector of the Nigerian economy. It provided consultancy services for Tankages, pipeline, aviation facilities substructures for platforms, and procurement. In 1994, the Practice set up a Project Management team to meet the challenges of the emerging construction industry in Nigeria. The emphasis of this team was to alleviate the problems that relate to Schedule, Performance and Cost. In the year 2000, the Practice commenced preliminary research on Pipeline Integrity Services to provide adequate support for the Pipeline sector of the Oil Industry in terms of quality control and assurance. The Practice now offers a full complement of the Pipeline Integrity Services (PIS)..."
In an article in Newsweek magazine titled "Stronger than Steel" , Lily Hunag writes about how "bamboo may be the most useful raw material ever to be overlooked.The talks about the bicycle built by Nick Frey a junior at Princeton out of Bamboo. "...Although a common building material in many tropical countries, it's considered "the poor man's timber," and in the West it's mainly decorative. As the world goes green, however, bamboo's essential qualities are beginning to win converts. Environmental organizations are promoting its use as a building material, architects are putting it into green homes, and makers of flooring, furniture and now bikes are quietly setting up their industries for a bamboo revolution. Despite its lowly reputation, bamboo may be the strongest stuff on the planet. It has greater tensile strength (or resistance to being pulled apart) than steel, and it withstands compression better than concrete. Both qualities are essential to keeping the plant, which grows to nearly 60 meters but is only as wide at the base as the very top, from falling over. It needs the compression strength to hold up its own weight and tensile strength to bend in the wind without breaking..."
1.It has the ability to be formed be formed into Plywood."... "Our concept of strength is, it doesn't move, it doesn't break," says Dan Smith, who owns Smith & Fong, the largest manufacturer of bamboo plywood in the United States. "The Chinese concept is, you've got to bend with things. If you don't bend, you break. Bamboo's strength is in its ability to bend, and that's the miracle." 2. Some species grow very fast which makes it a very sustainable material. "...The Western mind is also opening to bamboo's environmental qualities. In both temperate and tropical climates, it grows as quickly and abundantly as a weed. Though most often used as an alternative to timber, bamboo, with its underground rhizome root system that continually regenerates the plant when the stalks are cut, is technically a type of grass. In fact, it grows faster than any other grass—in some conditions well over a meter a day..."
3. Its structural strength,affordability,versatility has made it attractive to Eco-Architects and builders. "...Designers are getting more creative as they embrace bamboo as an alternative to lumber. Environmentalist architect Michael McDonough has incorporated bamboo in his two working prototypes for sustainable housing, e-House and ArcHouse. E-House has all-bamboo floors and cabinetry. A stalk of bamboo becomes a finer version of plywood once it's split from the top and milled into smooth strips. ArcHouse, a modular home, has an exterior made from double panels of bamboo oriented strandboard—bamboo strips compressed and cross-positioned for strength— and insulated with foam made from the oil of orange peels. The panels seal tighter than conventional insulation, and McDonough is the first to replace wood strandboard with bamboo. "It's dinosaur grass," he says, yet it's pushing the engineering curve..."
Bamboo is still a niche material in the United States, but it's catching on. Smith & Fong first cracked the markets in 1989 with flooring and, later, a laminated bamboo sheet called "plyboo." Sales grew at an average of 26 percent a year until 2003, then accelerated to nearly 40 percent three years ago. The company now has 30 types of flooring and 60 options in plyboo, and has begun engineering gymnasium floors and bamboo structural beams. Bambu, a U.S. maker of housewares that are distributed by Whole Foods, has begun to draw attention at its plant and showroom in Shanghai. Some excerpts and photo's in this article are taken form Newsweek and the Smith & Fong website. Inhabitat says "..ABŌD™ is a prototype prefab created by BSB Design for use as affordable housing in South Africa.The simple design uses a strong, natural shape as the core. It’s durable, lightweight and can be easily shipped in a compact box for quick on-site assembly. Perhaps it’s the shape or the vibrant colors of the corrugated paneling, but this design brings a cheerful presence to a very serious issue: addressing the need for high-quality, low-cost solutions to South Africa’s housing shortage..."
Commercial architecture within West Africa from Banjul to Yaounde is coming into its own style.SkyscraperCity profiles some of these projects from the conceptual to on site construction stage which are remarkable in their style and form. A lot of these buildings are featured in the West African section of Skyscraper City.However I believe it would be a great idea to see some inherited forms from Traditional African Architecture being incorporated, to form a fusion with the Neoclassical,Victorian, and modern building technology widely adopted today in Africa. Creative consultants like Frog Design etc. Cobhouse is an environmentally sustainable project by Simric Yarrow to build alternative buildings out of Cob, sustainable timber,straw and clay in South Africa. The aim is really to build a house out of recycled building materials like cardboard, as well as sustainable ones. Photo courtesy of Cobhouse blog.